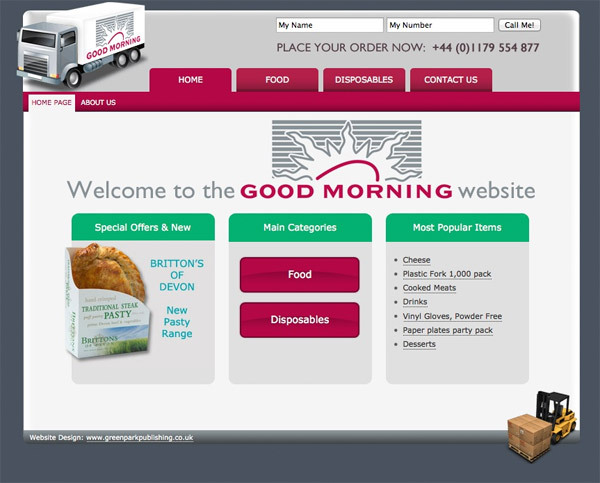 Good Morning are a distributor to the catering industry. Of course I tried to persuade them to integrate their website and their stock database, so that we could take orders through the website, but they were simply not interested. It turns out that they like people to ring up, as the telesales staff are excellent and the customers always end up buying more that way. Also their whole company runs on Windows 95 and they don’t want to update. Sometimes the client really does know best.